In what has now become an annual tradition on the blog (I think I can call it that if I've done it two years in a row, right? ), here is a countdown of my top 5 posts from the past year. Thanks to everyone who stops by to check out my posts and I can't wait to share more memories and magic in 2017! 5. 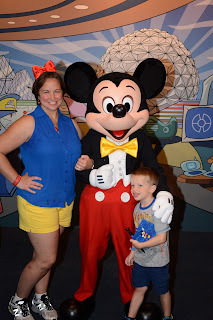 Why We Won't Be Going to MNSSHP - Mickey's Not-So-Scary Halloween Party has been on my Disney bucket list for a long time now and we were finally taking a Fall trip that would put us there not only during some of the party dates, but actually on Halloween. So why did we decide not to go? Find out here! 4. runDisney Inaugural Wine & Dine 10K - The inaugural runDisney Wine & Dine 10K was an amazing race. Hosted by Chef Remy, the race featured a familiar course through Epcot and around the Boardwalk with some great characters and all the runDisney fun that you expect from their events. 3. A Beginner's Guide to Epcot's International Food & Wine Festival - One of the most popular events in Walt Disney World can be overwhelming when you don't know what to expect. We attended for the first time in 2015 and I used my experiences to write some tips that I learned which might benefit other first timers. 2. Best Bets for Preschoolers in Epcot - Traveling with the little guys to Walt Disney World has meant seeing the parks through the eyes of my kids. Epcot gets a bad reputation sometimes as not being a kid-friendly park. This post highlights some of our favorite things to do around Future World and World Showcase! 1. 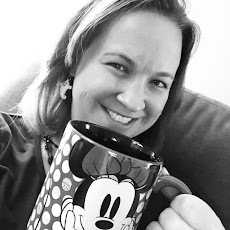 Things that May Terrify Your Kids in Walt Disney World - My husband will probably laugh out loud that this is my top post of the year. His biggest complaint about Disney is that our kids are scared of some of the things there. It's a true statement. I don't think that ruins a family vacation - just review some of these experiences that might terrify your kids. Moral of the story, there is so much to see and do in Disney; do what makes your family happy rather than trying to push through things that scare them.